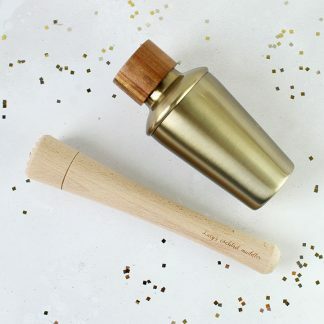 Delight your family and friends with their own personalised beech cocktail muddler. 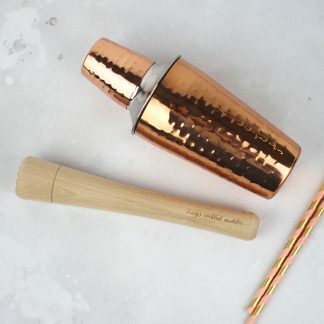 Our traditional style muddler is used to muddle and crush fruit, herbs and spices in the bottom of a glass to release flavours. 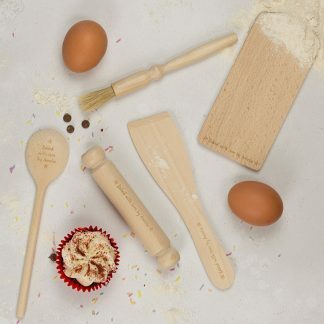 Personalise with your text of choice (up to a maximum of 35 characters). You can replicate our text shown in the image “Christmas cocktails at the ….” or choose your own message based on favourite memories, flavours and drink choices. Personalisation will be exactly as requested so please include apostrophes where required.